The bassoon studio at the University of Nevada, Las Vegas (UNLV) is diverse and inclusive and has grown consistently in both size and quality since Dr. McKay arrived in 1995. Studio members participate in a number of activities outside of the normal curriculum, such as special reed making gatherings and the Bright Light City Bassoons, and they serve as instructors and aides for the Bocal Majority Bassoon Camp annually held at UNLV. Students come from all over the United States and Japan, and many have gone on to successfully pursue careers in the music industry. The bassoon studio typically consists of about 7-8 students. They each receive one 50-minute lesson every week, participate in a weekly studio class, and have the option to take a weekly 90-minute reed class. Studio members also have access to a reed room where they can borrow UNLV reed making equipment, store their own reed making supplies, and work on reeds any time the building is open. There are also a number of performing opportunities with UNLV ensembles including Symphony Orchestra, Chamber Orchestra, Wind Orchestra, Symphonic Winds, NEXTET, Early Music Ensemble, Star of Nevada Marching Band, Community Band, varied chamber ensembles, convocations, and recitals. As a full-time professor at UNLV, Dr. McKay is on campus most days and easily available to provide help and advice. The studio members are supportive, welcoming to new members, and they form strong and lasting relationships with Dr. McKay and with each other. Students that are interested in auditioning may schedule a full day of activities at UNLV including a private lesson with Dr. McKay, the opportunity to sit in on one or more ensemble rehearsals, a campus tour, as well as several informal activities to get to know the studio members and Dr. McKay. To schedule an audition, please contact Dr. McKay via email at janis.mckay@unlv.edu. More information can be found at www.UNLV.edu/music. The University of Nevada, Las Vegas is a public research institution committed to rigorous educational programs, and promoting well-being and achievement through education, research, scholarship, and creative activity for their diverse faculty, students, staff, alumni, and community. 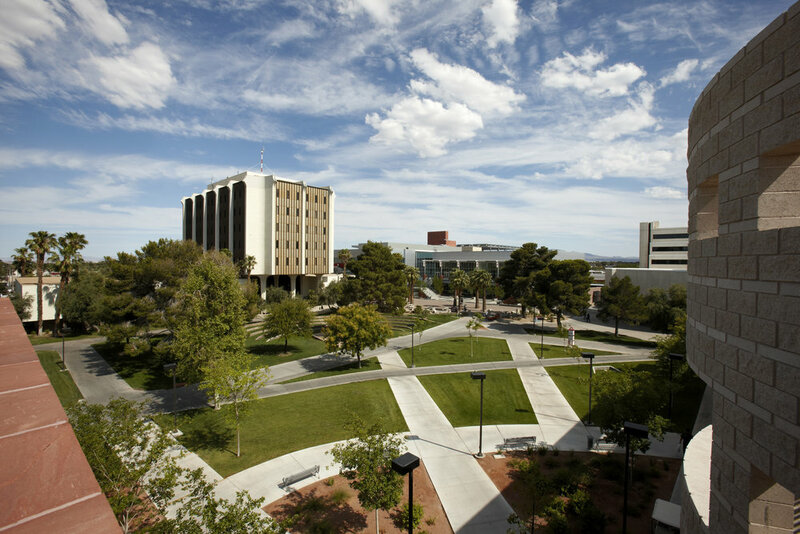 Since their first classes were held on campus in 1957, UNLV has transformed itself from a small branch college into a thriving urban research institution. Along the way, their urban university has become an indispensable resource in one of the country's fastest-growing and most enterprising cities. At UNLV, they have come together and created one of the most affirmative and dynamic academic environments in the country. UNLV continues to rise in U.S. News & World Report’s annual listing of the nation’s most diverse universities for undergraduates. The university is tied for first in the publication’s annual Best Ethnic Diversity listing. UNLV has placed in the top 10 for the past six years and continues to show its commitment to serving their wonderfully diverse population and building the future for Las Vegas and Nevada. More information can be found at www.UNLV.edu/about.